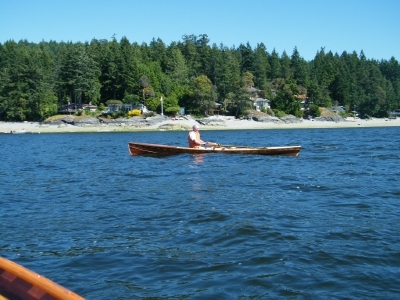 "Fine", a sliding seat rowboat. I finished this boat about the beginning of June, Geoff has been kind enough to tell me about this video. It speaks to me about the freedom of being in this boat; surging into a new day on a flat calm ocean. Fine is 18 feet by 34 inch beam, and about 65 lbs. without the riggers and seat (they are removable) so it can easily be car-topped. This is a full-body workout machine; research suggests that a sliding seat rowing session can burn up to 400 calories in 20 minutes, and involves all the large muscle groups. 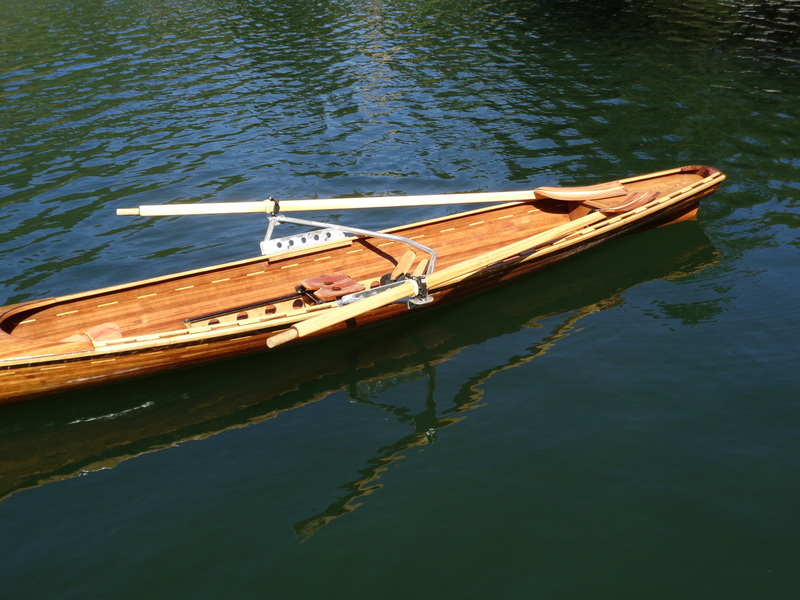 Fine is wider than a rowing scull, thus more stable, and is suitable for ocean rowing, in reasonable conditions. 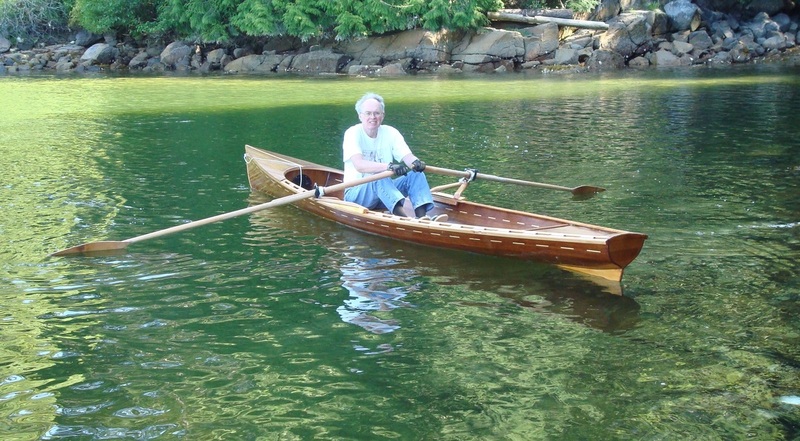 Complete with carbon composite oars for $5425.00.